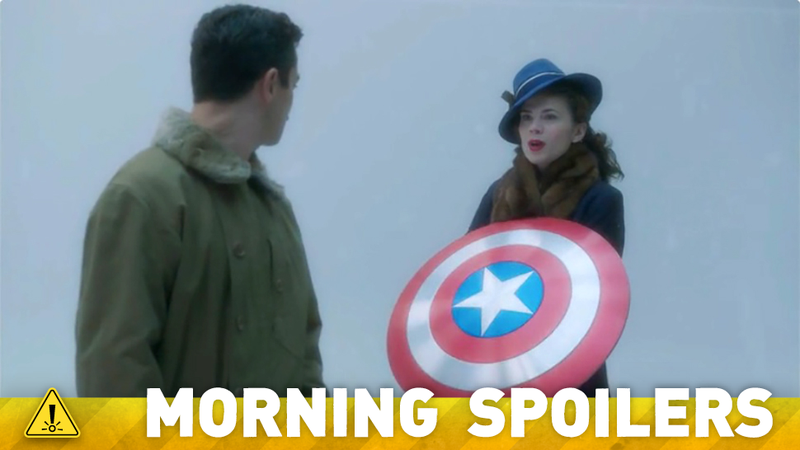 What Role Will Peggy Carter Play In Captain America: Civil War? The Wicked + The Divine is coming to Television. Margot Robbie swoops into action in new Suicide Squad set pictures. Another comic book character becomes a season regular on Gotham. Plus, Bryan Fuller teases a “drop the mic” finale to the new season of Hannibal, and more Heroes Reborn casting. Spoilers Now! Andre Tricoteux has confirmed, through a statement celebrating wrapping on the film, that he will be doing the mo-cap performance for Colossus. Joblo has an update on the two Mark Miller adaptations: Gary Whitta has turned in a script for Starlight to Fox while the studio looks for a director, and casting has already begun on Chrononauts. James Gunn has taken to Facebook to announce more casting for the film: Steve Agee, Adria Arjona, Sean Gunn and Owain Yeoman have all been cast as Belko Employees. Do you have a clear idea of how you want to end the show overall? You know that ‘drop the microphone’ moment from Hannibal at the end of season two, do you have that for say, three seasons down the line in mind? We have another ‘drop the mic’ moment at the end of this season. Once again, we approach this show always working under the assumption that every season is our last season. We have an ending to this season that is shocking and striking and sad and earned, and we also have a way to un-paint ourselves out of that corner should there be a fourth season. Part of what made season two such a satisfying fan experience was seeing seeds sown back in season one – Abigail Hobbs, Miriam Lass – crop up. Were there other seeds sown back then that are being harvested in season three? Yes, there are a few seeds that crop up in season three. The beauty of season two is that we laid so many of the stones down, that we were able to take a clear path. A lot of seeds that were laid down in season two—the Mason Verger story, where Will Graham and Hannibal’s relationship was left—we get to mine those in an exciting way in the third season, particularly in the first half, which is our Italian half of the season. Gillian Anderson’s character, Bedelia Du Maurier, has a very significant role in that arc. There’s lots in season two that sets up that first chunk, then when we get into the latter half of the season, which is the Red Dragon story, there are still repercussions from the past joining through that second arc. Liz and Clive interrogate a suspect in this TV Line-exclusive clip. Additional reporting by Abhimanyu Das and Charlie Jane Anders. Top image: Agent Carter.